The Army did not begin a formal program for determining lineage and honors until the 1920s. Before that time, considerable confusion existed within the Army about the accepted procedures and methods for determining the prior history of units and their entitlement to battle honors. With the demobilization of the Army following World War I, many distinguished units were lost from the rolls. To avert such problems in the future, the Historical Section of the Army War College assumed responsibility for maintaining historical information about Army units: thus lineage work began. Today the Force Structure and Unit History Branch continues the work begun by the Historical Section of the Army War College. The branch maintains historical information on active and inactive units in all components- Regular Army, Army Reserve, and Army National Guard, and prepares official Lineage and Honors Certificates. On the basis of research in primary and secondary material, the certificates outline the major organizational changes undergone by the unit and provide a list of the official battle honors (campaign credit and decorations) that the unit has earned. The information contained on the certificates is reformatted for publication in the Army Lineage Series. 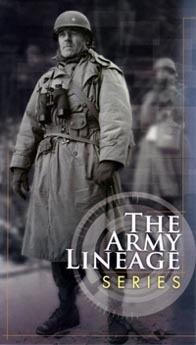 The Army Lineage Series is one of the oldest series of volumes published by the Center of Military History. Over time, the scope and concept of the series have evolved considerably, but the purpose has remained the same: to provide a compact, readily available source of information on unit organizational history. All lineage volumes have included illustrations and descriptions of unit insignia designed and manufactured by The Institute of Heraldry. Many volumes have included narrative essays of varying lengths discussing the evolution of the branch. Some branches/echelons have been covered in multiple volumes with the narrative published separately from the lineages. Most have also contained unit bibliographies. Because of the specialized terminology used on the certificates, most volumes also include a glossary. The volumes from the series containing detailed or separate narratives are linked on the tabs at the top of this page. These online versions, however, do not include lineages. Visit the Lineage and Honors page for the most current lineage Information. 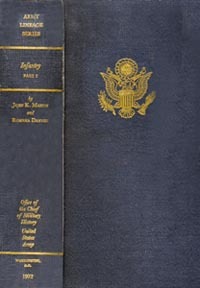 A narrative history of the Infantry Branch, this volume also contains the lineages, honors, coats of arms, and distinctive insignia of Infantry units of the Regular Army. Military Intelligence contains both a narrative branch history and the lineage and honors for 108 Regular Army, Army Reserve, and Army National Guard military intelligence units-brigades, groups, and battalions, the echelons authorized distinctive heraldic items. Based on official records attesting to the history of the respective units, John Patrick Finnegan and Romana Danysh ably capture the organizational evolution of the Military Intelligence Corps. Mindful of safeguarding intelligence sources and methods, Finnegan makes no pretense at discussing the operational aspects and the complex interrelationships between Army intelligence and other organizations in the intelligence community. His focus is on the slow development and eventual emergence of professional Army intelligence organizations and functions. The lineage and honors complied by Danysh and the colorful heraldic items foster unit pride, thereby enhancing esprit de corps among the thousands of military intelligence specialists now serving their nation. The military intelligence story, a relatively unknown part of the Army's heritage, is a story worth reading. Military Police contains a brief introductory historical essay and the lineage and honors for 109 Regular Army, Army Reserve, and Army National Guard military police units-commands, camps, centers, brigades, groups, and battalions, the echelons authorized distinctive heraldic items. Based on official records attesting to the history of the respective units, Robert K. Wright Jr. ably captures the organizational evolution of the Military Police Corps. Unit pride is critical for blending the Army's many specialized branches into the combined arms team needed to cope with today's contingency operations, and this volume contributes directly to the MP's esprit de corps. To his credit, Wright has provided an invaluable reference tool for anyone interested in the organizational history of the Military Police Corps. 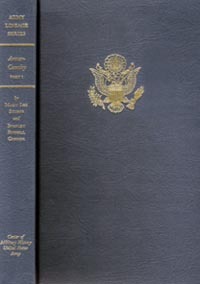 Maneuver and Firepower, the companion volume to John B. Wilson's Armies, Corps, Divisions, and Separate Brigades, traces the evolution oftwo unique and complex U.S. Army organizations-divisions and separate brigades-that combined combat arms, combat support, combat service support units into well-oiled engines for war. The Army has used divisions and brigades since the colonial era, but the national leadership did not provide for their permanency in the force until the twentieth century. Wilson has prepared a detailed systematic account of the way these two organizations developed, highlighting operational art rationales and broad but interrelated technological, political, and economic factors that played a significant part in bringing the structural changes into reality. As Wilson shows, both organizations have played a pivotal role in the American military experience, and their exploits form the core of the Army's history in the twentieth century. Force planners today will find the challenges of making these military formations responsive to the ever-changing and unpredictable global dynamics affecting power and security relationships highly relevant today. This groundbreaking volume is an invaluable reference source for those involved in the ongoing Army Transformation. A narrative analysis of the complex evolution of the Continental Army, with the lineages of the 177 individual units that comprised the Army, and fourteen charts depicting regimental organization.